Lady Gabrielle has been in love with her brother’s best friend since she was a child. Lord Anthony has been a fixture in her home for as long as she can remember due to his lack of family. Though they share a bond they keep secret, Gabby must stand by and watch as Anthony goes on with his life, hoping one day they will be together. Now that Gabby is of marriageable age, Anthony realizes that Gabby is the woman he needs to complete him. He proposes to her before running off to find something that has been lost to him. When he doesn’t return on the expected date and has not sent any word, Gabby knows that she has let her heart lead her decisions long enough. Once Anthony returns home he finds his rival is set on his woman! Bets are being made within the ton on who will throw the first punch. Lord Throne, though has a history of being a rake, is determined to win Gabby’s affections and her hand. The rest of the book centers around the two men in a somewhat epic battle for Gabby and all the while Gabby is battling her own feelings. When desperate times call for desperate measures, Gabby must face her fears and make her choice. I felt the internal struggles the main protagonists worked through were compelling. 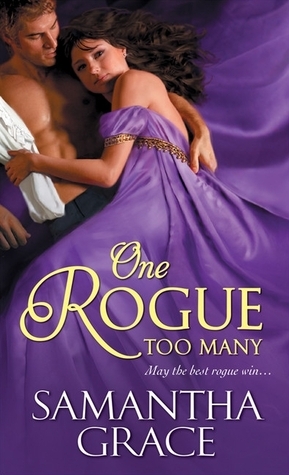 I was drawn in by Lord Thorne and his motives for wanting Gabby and am looking forward to reading his story. I was a tad turned off by the happenings of Anthony’s life before he understood his feelings for Gabby but I think the end result was worth that burden they couple had to bear. Overall it was a great love story and a wonderful historical romance I believe any book lover will enjoy.